I remember the panic I was in all throughout my pregnancy. Especially, during my last trimester as impending motherhood felt like the walls were closing in. I still laugh when I look back on how eager I was to no longer be pregnant while at the same time terrified of my life changing responsibility. I spent weeks maybe even months researching products and reading reviews. I had no direction or guidance in what a baby really needed. I have no mother of my own to hold my hand or pass down her wisdom. I was left to fend for myself and follow my own instincts as is the story of my life. Well this one is pretty obvious. Babies will go through these like they are going out of style. However, I don't recommend stocking up too much before babies arrival. 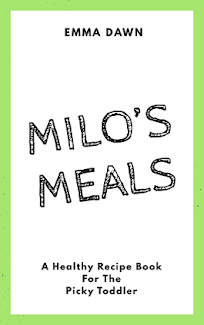 Depending on baby he/she may be sensitive, like my Milo was, and have a reaction to an ingredient, or the fit of a particular brand may not be favored by you or your baby. Diapers are as unique as your baby. They come in all kinds of various scents, shapes, styles, sizes etc. I started with The Honest Company and switched to Huggies Little Snugglers as Milo began crawling and becoming more active. Find a brand that works for your baby. Start by trying ranges that are hypoallergenic and soft and work from there until you find the perfect fit. Wipes are something to stock up on. You will burn through these like a blazing wild fire. Keep wipes simple. Try looking for packs that don't have too many additives, such as fragrances or perfumes. Especially when using for a newborn. Honest Company wipes are amazing but can not be purchased in bulk like other brands. I currently use Huggies All Natural on Milo and purchase his diapers and wipes in bulk online at Walmart. They don't really expire and you will be needing them so buying in bulk saves money in the long run once you find the products you prefer. I recommend getting a travel system. Everything comes in one package and guaranteed for the parts to co-mingle. Car seat, base, and stroller. A car seat/baby carrier is required by the hospital to even leave. As well it should be. This isn't the 1920's and I am hoping none of you will be pulling a Brittney. I went with the Baby Trend Expedition Jogging Stroller and Travel System. See my review here: Review: Baby Trend Expedition Jogger Travel System This items title sounds fancy but really it's quite affordable compared to other alternatives. I got the jogger because the area I live is mountainous and our lifestyle calls for something a bit more off road. If you aren't as active and/or live more of a city life than maybe a bulky and sturdy jogger isn't your style. I just recommend making it easier on yourself and getting the complete travel system regardless of the stroller style that best fits you and baby. That way all the pieces are designed to fit together and it will be simple and comfortable. Newborn babies spit up A LOT! It's insane. Milo wasn't much of a swaddler and he was also born in September so the muslin blankets and the SwaddleMe swaddles didn't do us any good. On the other hand he did like to be wrapped loosely in his soft cozy blankets. When you find a blanket style your baby likes buy a bunch. They will be washed and switched out countless times throughout the day. I loved the ones I purchased at Ross. They have the cutest, softest, designer blankets and I purchased all of Milo's blankets there for only $4.99 each. Even if you don't nurse/breastfeed one of these is still a must! I got mine from nursingpillow.com and loved it. 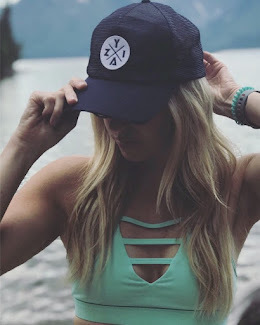 They are a company based out of Utah and have the most adorable designs. I got Milo's in the yellow minky. (pictured below) I used it for breastfeeding, co - sleeping (ebook coming soon), laying him on the sofa or on the floor, support for when he started sitting up, then turned it around to block him while sitting on the sofa. One of the most versatile and most used baby products I probably had. With the nursing pillow used for co - sleeping it eliminated the need for a crib, bassinet, an expensive Dot - a -Tot, or pack in play in the earlier months. If you are a regular reader you know my hatred for infant baby socks. Worst invention EVER! Newborn babies spend so much time sleeping you want them to be comfy and warm. Plus what is cuter than a baby in footed pajamas!? Nothing, that's right. Newborn "outfits" in my opinion are such a waste of money unless you are going somewhere special or getting photos done. You will be changing diapers at least once an hour so make it easy on yourself and on baby and use jumpsuits. I remember it was such a pain to snap Milo's onesies and then put pants back on him. With a jumpsuit you can just zip and you're done. I loved using cloth diapers. I picked up multiple of the large quantity packs Gerber sells at Walmart. They were great for pretty much everything when it came to baby. They are much more absorbent than traditional burp cloths. They also served as multiple uses. Changing liners, great for wiping up messes, wiping bottles from the bottle warmer, etc. Uses are limitless when it comes to cloth diapers and I highly recommend getting these over the designer burp cloths. Much cheaper and much more useful. Soaps, lotions, baby powder, diaper cream, etc are all products most likely gotten at your baby shower and also all relatively inexpensive. Find a brand you like and stick with it. We use the Aveeno Baby because it is gentle and the ingredients are safe and natural. Try reading the ingredients on the brands you are considering. If you can't pronounce them and/or you google them and they come up as unfavorable put it back on the shelf and keep looking. Babies skin is new and adjusting to the world. It is unbelievable the ingredients some companies can get away with using. We like Honest Company, Aveeno Baby, Palmers, Babyganics. Just keep it simple and avoid, the best you can, any harmful reactions or irritations baby may have. Now this is another expense that can actually be avoided if your baby is lucky enough to have both of his/her parents or you have a partner or helping hand. Showering with baby is a great way to bond and get in that skin to skin contact. However, it can be very challenging to manage with a newborn if you don't have someone to hand them off to. So in my case I used the Blooming Bath. See my review here: Review: Blooming Baby Bath These days I just toss Milo in the shower with me. He loves it and prefers it over baths. Baby baths are only used for a short period of time so a huge cost isn't required unless desired. Also there is no need for baby towels. They are cute but no different than the towels you already have in your linen closet. Save the expense and just use what you already have. Baby will outgrow the infant towels in no time anyways. Milo was and is a binky baby. Studies show that certain styles can actually promote healthy oral development which is contrary to the old wives tales you hear. We used MAM in the earlier months and now use Avent due to them having ringed handles. They are the same shape and style and good for baby's oral development. Some babies don't like the binky which causes them to be harder to soothe. Try these brands if your baby is picky when it comes to binky, worked for Milo and maybe they will work for you too. There are so many to choose from it's almost insane how many brands and styles there are when it comes to binks. I hated pumping, but not everything in life is fun. Motherhood is about sacrifice and doing whats best for your new baby. Upside pumping can grant you the ability to stop nursing and breastfeeding earlier by relying on any back stock you accumulate by treating yourself as a dairy cow. If you are going to be breastfeeding this cuts down drastically on baby costs. Formula is so pricey and breastfeeding is so much healthier and nutritious for baby. Plus it's free so you can't beat the price. Your doctor, depending on your insurance provider, can write you a prescription for a free breast pump. I used the Evenflo Deluxe Double Breast Pump which is now on the insurance list as an option. See my review here: Evenflo Deluxe Breast Pump. I love the entire Evenflo line. The storage bags and containers were amazing. Now regardless if you are doing formula or breastfeeding you are still going to need bottles. This is another thing I don't recommend stocking up on before baby's arrival since they can tend to be particular about this sort of thing. I got lucky on the first try when it came to bottles. I wish I was that lucky when it came to sippy cups, but that is a whole other story for another time. Milo loved the Tommee Tippee Bottles. See my review here: Tommee Tippee Closer to Nature Bottles We used the closer to nature range and there are multiple other styles depending on your babies needs. To be honest this is pretty much it. For the first few months anyways. 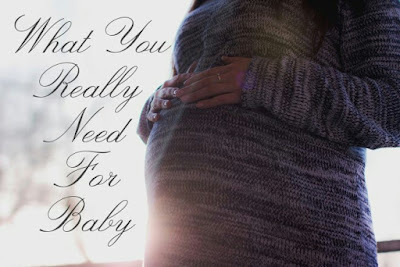 If you tend to become overwhelmed, much like myself, prepare with these basics and get more items as your baby grows. I know the desire to want to be prepared can be strong and it seems like baby needs all the things you see on websites and in the baby section of department stores. In reality though they don't. What baby's mostly need is love, devotion, and time. With the help and comfort of the products listed above. List your baby's favorite newborn items in the comments and let me know if you used any of the products listed above.